Huamei Soft Family Hiking on Wangshunshan-Xi'an Huamei Soft Co.,Ltd. As summer’s coming, Xi’an Huamei family went to Wangshunshan on May 12th for team building, which is a wonderful and unforgettable experience for all members. 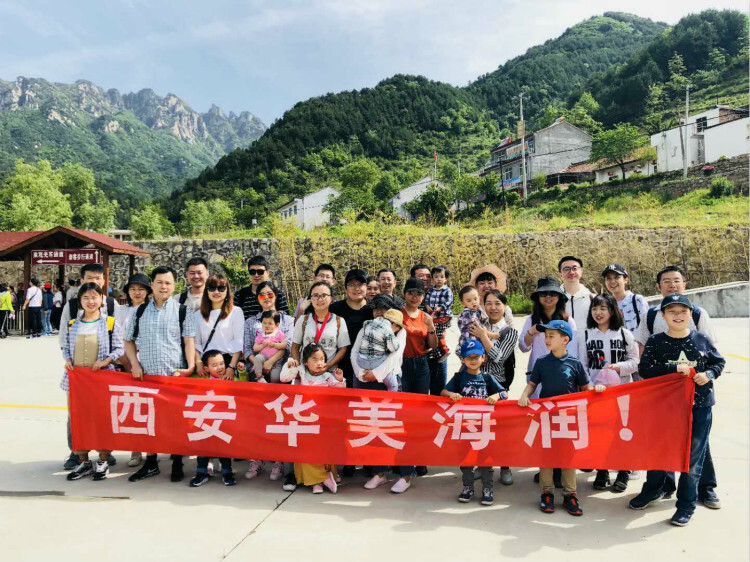 On 10 a.m., Huamei family arrived at the Wangshunshan National Forest Park by coach and took a group photo at the entrance. Sitting on North side of Qinling Mountains, Wangshunshan National Forest Park features steep road with gorgeous view. All of us felt relax and enjoyed fresh air in the nature. This tour enhanced our relationship definitely since we helped each other a lot during climbing the mountain. After reaching the peak, Huamei family got back and gathered at the moutain bottom for local food. Then, we tasted delicious rural dishes and talked about all funny experiences and gains this time. On 6 p.m., Huamei family got back to home and completed the activity perfectly. Looking forward to our next party!